We're exactly 100 days out from the opening of the 2016 Olympic Games in Rio, and less than two weeks away from Mother's Day. To mark both occasions, Procter & Gamble has brought back its "Thank you, mom" campaign for another round. And this time, the marketer has both broadened the scope of why it's celebrating moms and zeroed in on a particular attribute—their strength. 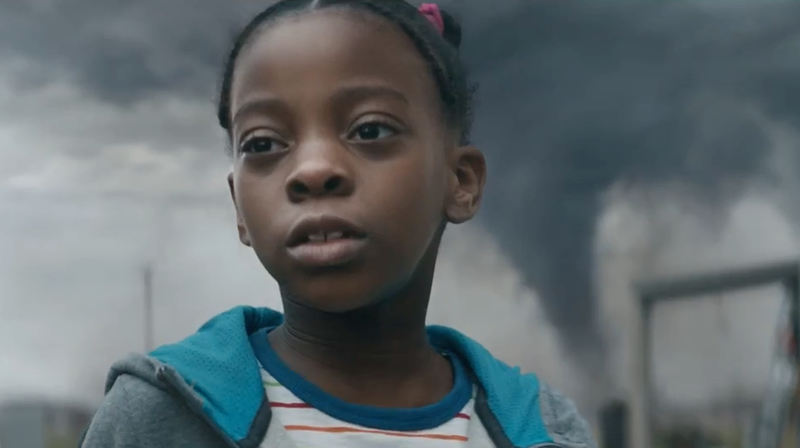 The spot was created by Wieden + Kennedy in Portland, Ore., and directed by Jeff Nichols of Rattling Stick. And while previous installations of "Thank you, mom" have mostly focused on the effort and sacrifice mothers make specifically in helping their sons and daughters train for sports, this new spot goes further—showing vignettes of them being rocks for their kids beyond athletics and into their everyday lives. Many of the vignettes are quite dark. The young athletes aren't just facing the physical and emotional challenges of preparation and competition. They're facing oncoming tornadoes, frightening airplane turbulence, car crashes. In each case, the terrified youngster is soothed by his or her unflappable mother. And only later do we connect this sense of grounding to the athlete's ability to perform under pressure at the highest level of sport. The final frames are quite familiar, showing—as the past ads did—the athletes and moms embracing after Olympic victory. Those images, connecting public glory to personal love and dedication, have become a visual shorthand for P&G's Olympic marketing and continue to nicely position the packaged-goods company, in its behind-the-scenes role, as the champion and enabler of mothers everywhere (who are themselves, in a nice parallel dynamic, champions and enablers of their offspring). The final onscreen lines of the new spot are perfect, too: "It takes someone strong to make someone strong." That's an even better exclamation point than the "Best Job" coda ("The hardest job in the world is the best job in the world"). As follow-ups to famous campaigns go, it doesn't get much stronger than this.